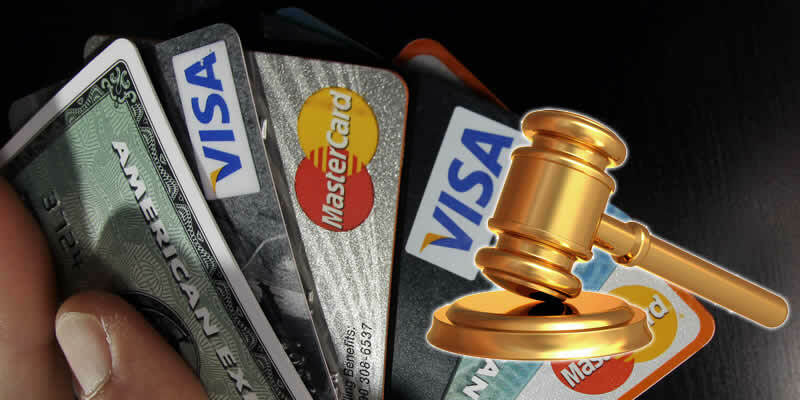 Are US Gambling Laws Having Less Impact on Credit Card Companies? Most seasoned gamblers vividly remember the enactment of the Unlawful Internet Gambling Enforcement Act (UIGEA) back in 2006. Those who entered the gambling scene a little more recently have likely heard a lot of talk about the bill. For a period of time, the bill was a thorn in the side of online gamblers who desired to use their credit and debit cards to fund their online gambling entertainment. All online gambling related credit card transactions came to a virtual halt for US players, even though they were playing at legally licensed and regulated betting destinations that were located outside of the United States. it didn’t really matter which credit card brand you were partnered with, Visa, MasterCard, Amex or Diner’s Club, all of them were crippled by this new law. This situation was later responsible for driving the emergence of prepaid casinos, prepaid poker sites and prepaid sportsbooks as US players scrambled for online payment solutions that worked. The dust has cleared a lot since 2006, and things have turned around quite a bit regarding online gambling account funding. Credit card transaction approvals for Americans engaged in online gambling have become much more successful and common place. There are multiple theories as to why this is occurring, and various parties weigh in differently on the matter. Some acknowledge that the newfound approval rate is sometimes due to a complex coding dance between the gambling operation’s payment processor and the credit card company. In other words, sometimes the transaction codes are able to get around the restrictions in favor of the customer. There is one fact based contributor to the growing trend of successful credit and debit card funding in the online gambling arena, and it simply boils down to legality loopholes. Credit card companies are now willing to process gambling related transactions on the condition that the gambling operation is able to provide a legitimate opinion letter from a certified and licensed attorney that states that the betting services provided by the operator are legal. As you can imagine, the sheer volume of attorneys in the US alone provides enough access to fairly easy acquisition of such a letter. It has become a large enough practice that there are attorneys who specialize in gambling law and online gambling legal representation. Two destinations that we are aware of that have obtained and submitted opinion letters are TradeSports and HotRosters. These two online betting services are involved in the virtual sports betting industry and have a blanket of approval from various credit card companies. There are multiple additional online gambling sites that have great success with credit card transactions as well. We are not sure if it is due to having submitted an opinion letter to the respective parties, but we do know that they boast a strong track record concerning this type of account funding. The emergence of state licensed online gambling has brought additional attention to the issues present with the application of the UIGEA. Not only does it fall short of intended results in managing offshore online gambling transactions, it is causing hardship and burdens for legitimate online gambling operations that are legally sanctioned here in the United States. Several years ago the DOJ boldly announced that each individual state could determine independently whether or not they would allow state licensed online gambling options for their residents and visitors. The government gave the states the thumbs up, knowing that the UIGEA would leave vast restrictions in place. It is all too likely that these US based destinations will also catch on to the process of obtaining a lawyer to write their opinion letters on their behalf and find themselves sitting pretty with the credit and debit card companies. The issues that have arisen with payment processing at US based gambling sites have ushered in an attractive range of alternative prepaid gambling funding options for Nevada, Delaware and New Jersey, some of which had previously left the US gambling market upon passage of the UIGEA bill in 2006. Ewallet deposit methods such as Neteller and Skrill are actually considering providing services to US based gambling operations, and other prepaid systems such as PaySafeCard may do the same. This may pave the way for these online payment solutions to also facilitate US friendly offshore gambling account funding as well, thereby expanding the scope of options available to US players. We hope so anyway.